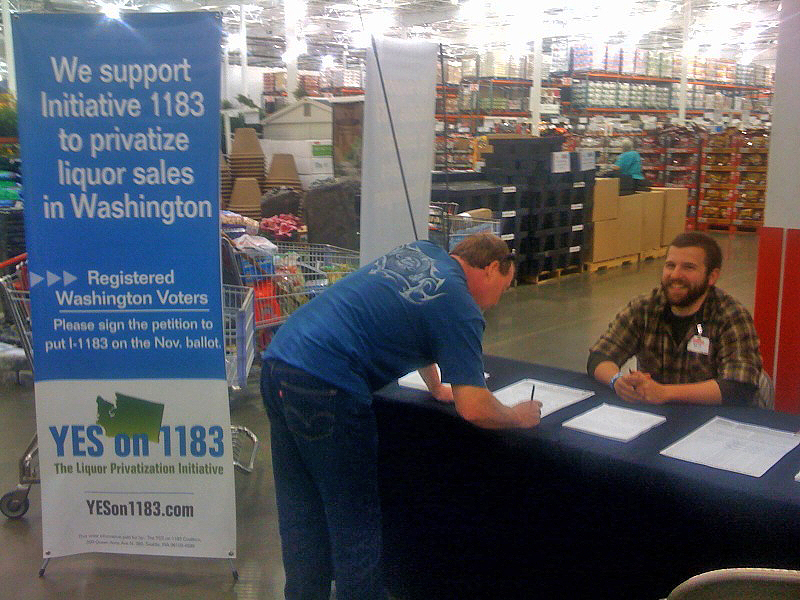 A ballot measure sponsored by Costco Wholesale Corp. that would privatize Washington state liquor stores will appear on the fall ballot. Secretary of State Sam Reed announced Wednesday that backers of Initiative 1183 gathered enough valid signatures for the measure to go to the voters. I-1183 would close state liquor stores and sell the assets, including the state’s liquor distribution center. The state would then license the distribution and sale of spirits. Also, wholesale pricing would no longer be uniform. Initiative sponsors submitted 361,339 signatures, far exceeding the minimum 241,153 needed to qualify for the ballot, according to the Secretary of State’s office.